iPhone price revealed by Vodafone UK? The new iPhone 4 UK price - leaked? Vodafone may have become the first network to announce the iPhone 4 UK price - albeit a little accidentally. 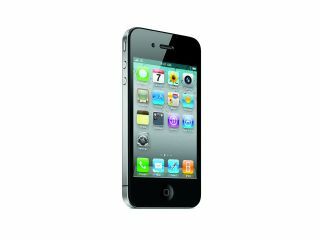 A dedicated iPhone site went live stating that users will be able to get the new 16GB iPhone 4 for £189 on the cheapest 18 or 24 month deals. But if you're after a 32GB variant then the cost shoots up to £280, again on the year and a half or two year deals, according to PC Pro, which saw the site before it was taken down. However, we've spoken to Vodafone, and it confirmed that there is still no official announcement regarding to the iPhone 4 UK prices. This statement is backed up by the official Twitter feed, which stated: "This was a test website so nothing yet has been confirmed or announced. Official details will be released very soon!" The prices announced would mirror the same tariffs as last year, so we suspect there may be a modicum of truth in there - although we're still intrigued to know the official iPhone 4 UK price on pay as you go.